April 11, 2019Rejeanne M. Burton Duvall, RN, MSN/Ed of St. Mary’s School of Nursing in Huntington, West Virginia, accepted a survey prize of $2,000 of Pocket Nurse proprietary Student Health Totes. "This prize opens up opportuni​ties to expand our Student Health Totes and enhance student learning long-term,” said Duvall. 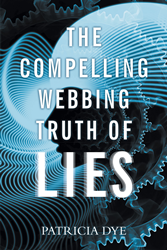 April 08, 2019Recent release “The Compelling Webbing: Truth of Lies” from Page Publishing author Patricia Dye casts a wide net across multiple genres—sc​i-fi, romance, and realism—and attempts to offer readers suspense with each turn of the page. Dwayne Adams Selected for "2018 Top Five Star Wealth Managers in Cincinnati"